Valor essential oil blend is one of our most popular products and a favourite of founder D. Gary Young. Its woodsy, positive scent comes from a blend of Black Spruce, Blue Tansy, and Frankincense. Valor is great for massages, in addition to other topical and aromatic uses. The powerful combination of ingredients in Valor bring with them a variety of talents, including their strengthening and refreshing qualities as well as their ability to soothe and balance emotions, making this oil one you’ll always want on hand. Face adversity head on with this empowering blend of essential oils to help increase feelings of strength, courage, and self-esteem. Use it to greet each morning with a positive attitude or to unwind at the end of the day. Its powerful yet calming scent is versatile enough that you can integrate it into your morning and bedtime routines and anywhere in between. 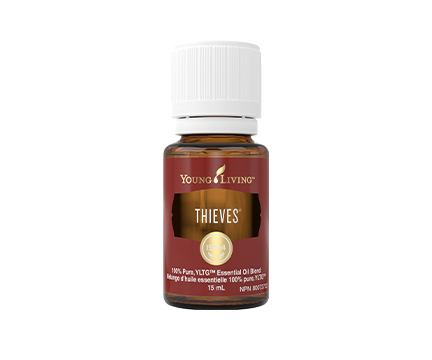 As one of our top-selling products, this in-demand oil is difficult to keep in stock. Because of this, orders are limited to one bottle per account per month. Apply to your wrists and spine whenever you’re in need of a pick-me-up and enjoy an uplifting mood boost. Balance emotions when you rub a few drops of Valor on the bottoms of both feet and down the spinal column. Treat yourself to a well-deserved mini massage by applying this sweet scent to your legs and back after a tough workout. Give yourself a helping hand when you apply Valor to your wrists and neck, or simply diffuse throughout your home for a little extra courage. Wear as a subtle cologne or use as a base for personalized scents. Add to a hot bat to invigorate your bath and shower routine. 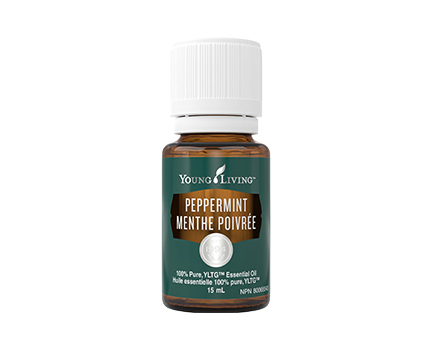 Commonly used with: Frankincense Essential Oil, Peppermint Essential Oil, and PanAway Essential Oil Blend. Combine Valor with V-6 Vegetable Oil Complex to unwind before bed with a grounding neck or back massage. 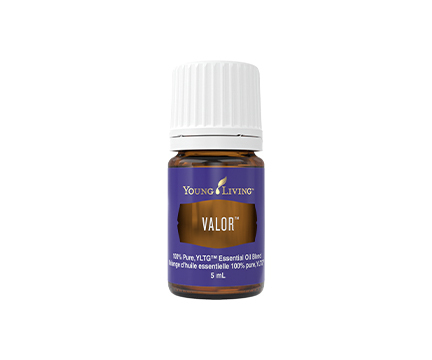 Refresh throughout the day by directly inhaling Valor or massaging it onto your neck, chest, or hands and wrists. Wear Valor as a bold, inspiring cologne, or use it as a top note for personalized scents. Add it to Young Living's Bath & Shower Gel Base or to a hot bath to invigorate your bath and shower routine. Make your bedroom headquarters for motivating self-talk, boosted by this woodsy and earthy scent. Uplift your living spaces with the warm complexities of this fragrance. Tackle work’s biggest tasks supported by this empowering aroma. Prepare for life’s adventures—anywhere they may take you—by infusing your space with this bold blend. Sink into an at-home spa experience by surrounding yourself with the comforting scents of Blue Tansy, Frankincense, and Black Spruce during a DIY facial or pedicure. 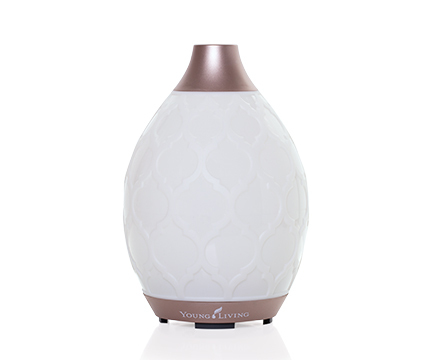 Keep the comfort of home with you on the road by using a personal diffuser to infuse this calming aroma into hotel rooms, airports, and other stuffy travel spots. Use Valor's invigorating aroma in the morning for an uplifting and empowering scent to approach the day. Its vivacious scent is a favorite companion to an intrepid spirit. Topical: Apply 2–4 drops directly to desired area. Dilution is not required, except for the most sensitive skin. Use as needed. Aromatic: Diffuse up to 1 hour 3 times daily. CAUTIONS: Keep out of reach of children. For external use only. Keep away from eyes and mucous membranes. If you are pregnant, nursing, taking medication, or have a medical condition, consult a health professional prior to use. Valor is one of the original blends formulated by D. Gary Young and is a long-standing member favorite. Each essential oil in the blend was carefully selected for its unique aromatic and topical benefits: Frankincense for its uplifting, earthy aroma and skin-smoothing properties; Black Spruce for its grounded, woodsy fragrance; Blue Tansy for its inspiring aromatic profile; Geranium for its sweet, floral fragrance; and Camphor Wood for its skin-benefiting properties and strong, herbaceous scent. This powerful, synergistic blend with a transformative aroma has contributed to its strong legacy as a key part of Young Living's proprietary Raindrop Technique®.